It is true that here in the Philippines, white is usually associated with beauty. There’s something about having a fair complexion that makes a person look effortlessly clean, glowing and sophisticated. Many Filipino women desires to get whiter skin but not necessarily to look like Caucasians. Many are already proud of their Asian features and only want to improve and enhance them. What they all really want and are obsessed with, is having fair skin. But are all skin whitening treatments safe, particularly on prolonged usage? The answer is NO, because there are certain bleaching preparations available in the market today which may cause more harm than good. The most common of which, are Irritant Contact Dermatitis and Ochronosis. Irritant Contact Dermatitis is a skin condition caused by direct chemical injury to the skin causing skin rashes and severe itchiness, while Ochronosis is a pigmentary disorder of the skin caused by prolonged use of creams containing Hydroquinone and Mercury. Hydroquinone, when used over a long period of time, can cause Exogenous Ochronosis (where skin turns bluish or black). While it is true that it is an effective skin whitening compound because it inhibits the production of melanin to cause the whitening of skin color, it can also damage our pigment cells when improperly used. Mercury, on the other hand, particularly the ammoniated type, which is the most common in Chinese bleaching cream preparations, may cause Ochronosis even in very low concentration if used for a longer period of time. Its cumulative effect may damage the kidneys or even cause neurological effects. Diana Stalder offers a variety of skin whitening preparations and kits which have undergone clinical trials and studies to address the pigmentary skin problems without causing untoward effects to the skin and assuring the consumers of its safety. 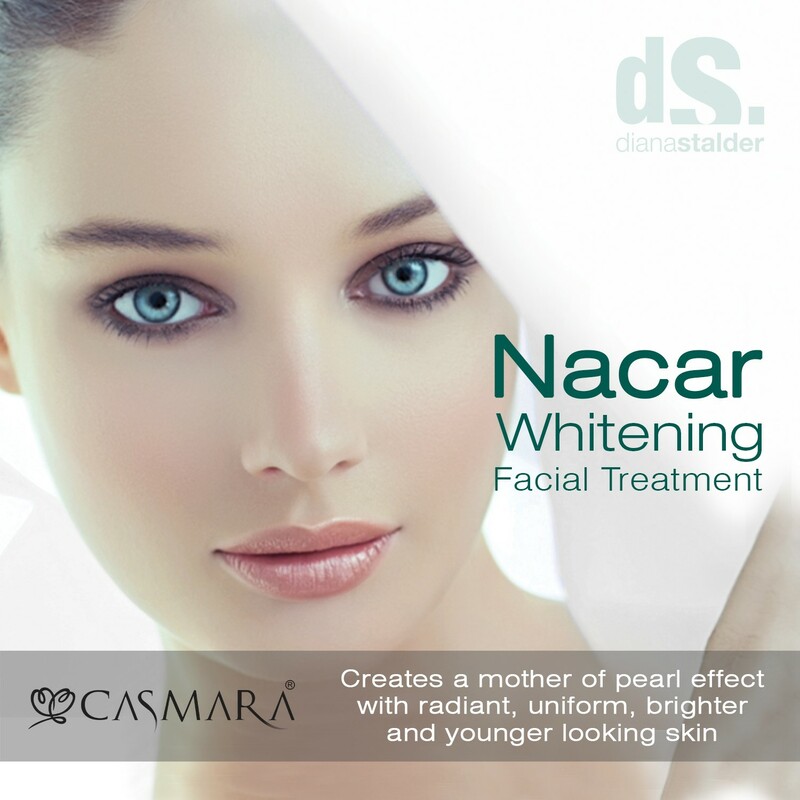 The Casmara Nacar Treatment for example is a professional personalized skin lightening and illuminating treatment in single-dose phases combined with benefits of an algae peel off mask. It cleanses, exfoliates and whitens the skin, targeting skin color, localized or diffused marks. It effectively helps your skin look younger, delaying signs of ageing. This treatment offers the largest number of whitening and illuminating active ingredients in the world, with 10 active ingredients for illuminating and skin lightening properties as it works directly on melanogenesis process. You may also visit Diana Stalder clinics for a free skin analysis and counseling by skilled therapists. Tyrostat is a strong inhibitor of tyrosinase enzymatic activity, one of the main enzymes involved in the pigmentation process. It has higher activity than arbutin, turmeric, and hydroquinone and with no unwanted side effects. It safely reduces skin pigmentation and erythema by limiting both melanin production and skin reddening for an even skin complexion. Beta Arbutin is a superb ingredient produced from the bearberry leaves, cranberry, and blueberry. Its primary goal is to prevent tyrosinase production in the body. Glutathione is really a pioneer in whitening systems. It is often found in soaps, ointments, lotions, creams and in pills. Its antioxidant properties help you to get whiter skin. Licorice is a great ingredient for skin whitening purpose and well-known for its special ability to suppress tyrosinase (melanin production catalyst) production. The substance has anti-inflammatory components, hence can lessen sunburn effects. Kojic Acid suppresses enzyme tyrosinase production in the body and impede melanin formation. With this, skin whitening is guaranteed. Primarily, kojic acid is produced from the mushroom family, the same fermented by-product used to produce ‘rice wines’. Their Body Whitening Scrub on the other hand is a combination of body scrub and bleaching. Hence, the procedure will provide even colored, glowing and health-looking skin. On the other hand, foods that you need to limit intake are cantaloupe, mango, peach, spinach, kale, sweet potato, olive oil, broccoli, and red bell pepper since they are known to affect skin pigmentation thereby causes skin tanning. 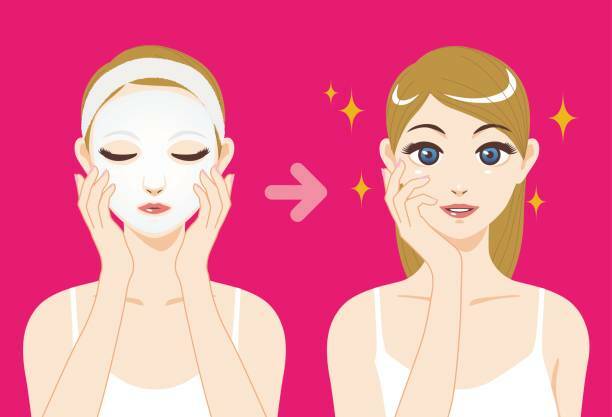 Nowadays with such a busy lifestyle, it has become difficult to take time out to care for our skin. Since everyone has to eat no matter how busy we are; adding skin whitening food to our diet is a must as it can help us with our complexion. DS Cafe serves dishes that are not only delicious but are also healthy to our skin. DS Cafe is now available through Food Panda so we can have it delivered right at our doorstep. They cater to customers living in Cubao and Mandaluyong.